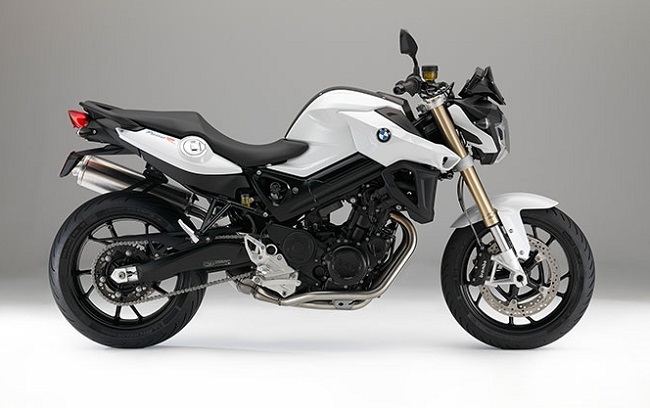 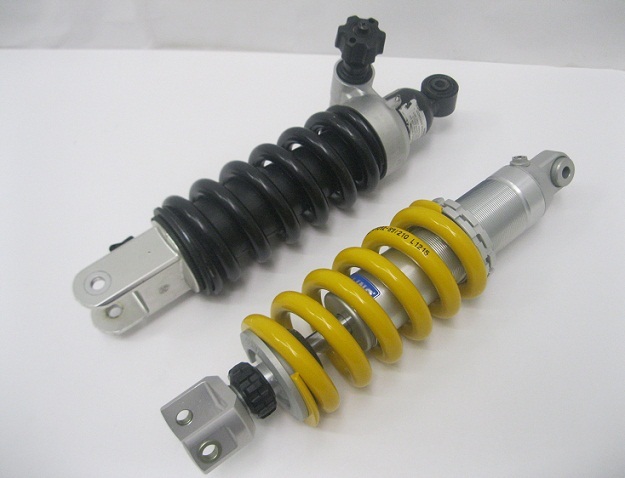 Bmw F800R (left) , the Ohlis S46DR1 shock (right) has over 45 clicks rebound adjustent that actually work vs about 2 turns of non click that doesn’t to much of anything. 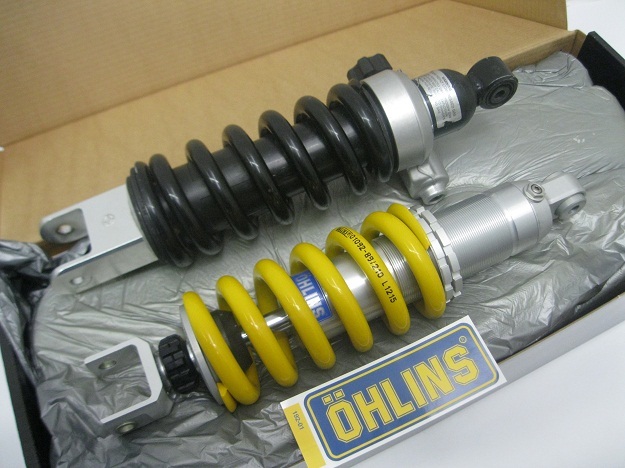 Ohlins shock has divided fluid and nitrogen for fade free performance instead of mixed like in an emulsion style shock were fluid and nitrogen are together like many car shocks. 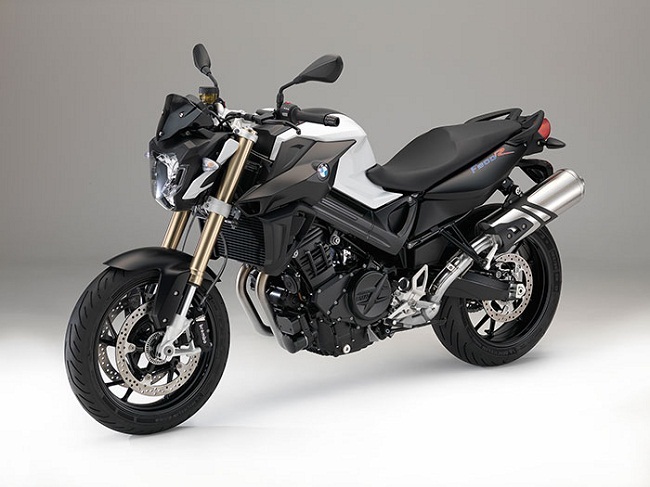 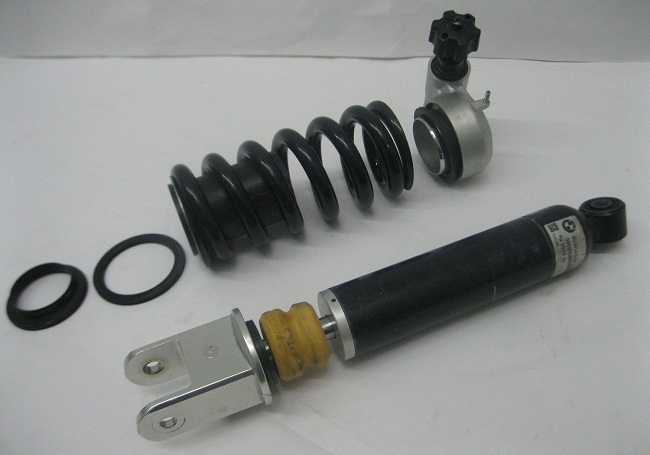 The nitrogen volume and pressure when divided like the Ohlins shock can also be used to tune ride by making firmer or plusher by varying pressures and piston placement. 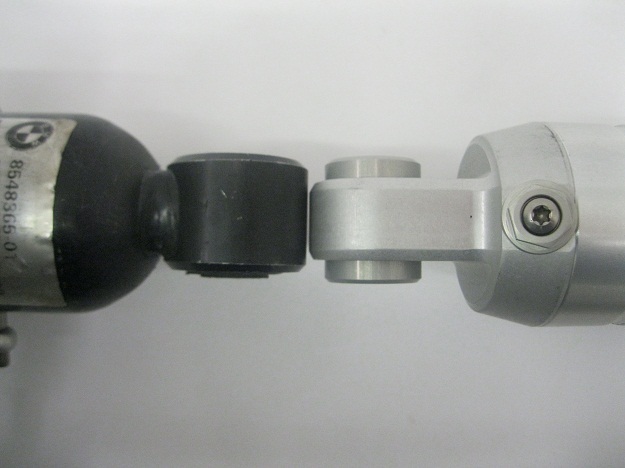 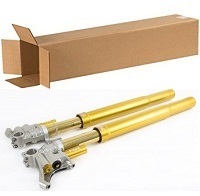 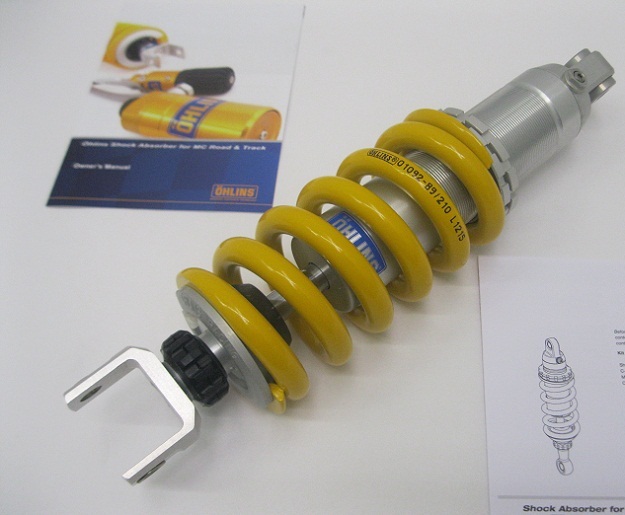 The above Ohlins shock has adjustable dampening and a heavy duty 46mm body with a 16mm shaft. 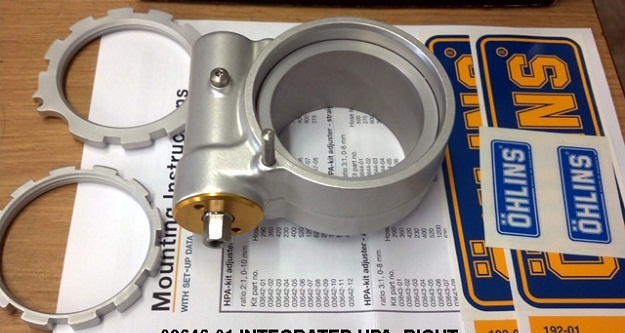 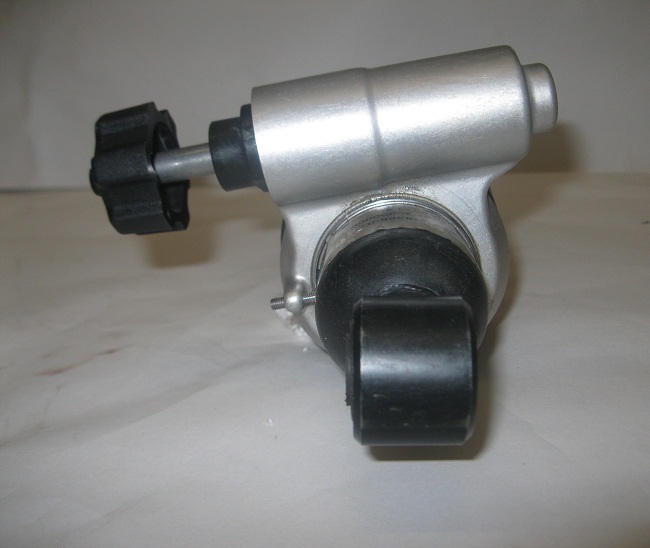 An Optional Integrated preloader can be added, it uses a 8mm drive, when riding mostly solo or constant simalar loading this option is less practical, it usually adds mid three hundies or so to the price. 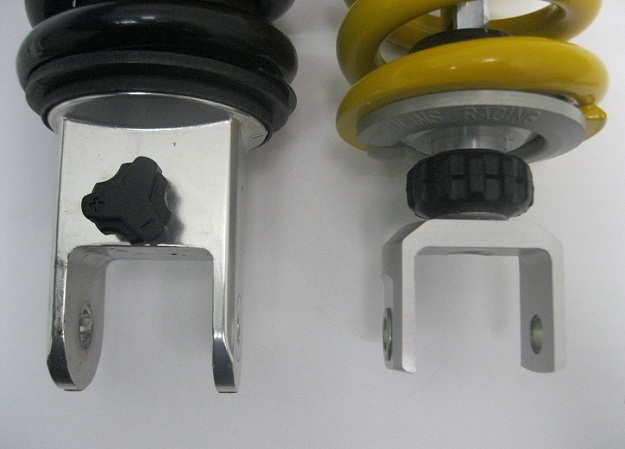 The Standard Bmw offset shown with set screw OEM.